I was thinking of what typing software to get for my wife’s parents. 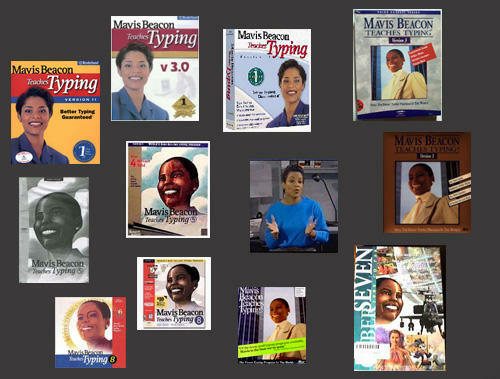 I learned typing with “Mavis Beacon Teaches Typing”. Looks like I’ve become much more inquisitive since then, because the question of “Who the hell is/was Mavis?” immediately came into my mind. The history section of mavisbeacon.com was suspiciously “under construction”, so I started my search elsewhere. She does not age, but her hair style and skin color changes in different software versions. This post is way off base, Captn Crunch is very, very real. She has a competitor, one Mavis Bacon. Mavis Bacon can perform feats of space management. Seems like this New York Times article solved the problem, but I am too lazy to go through their payment screens. By the way, does anyone know of a program that would check grammar an punctuation as well as spelling? Damn, it’s almost 3:30 AM.